By the way, I accidentally clicked on the dubbed version of the episode for a change and decided, “What the heck, why not?” So we’ll see if that gives any difference in impression from the sub. Interesting! Taiga’s dad is making efforts to reconcile with his daughter, and it *almost* looks like it’s going to work! Well, the effects on Taiga are definitely quite observable, as she becomes more conscious about how she appears before her dad, so as not to make herself too unpresentable. Considering that Kitamura’s the only other person who makes her like this, this is quite a significant change. After Operation: Scare Minorin, the next operation is to get Taiga to play the heroine at the school festival wrestling show when her dad comes to watch it. Here’s another surprise, and again it has to do with Minori: Ryuji’s defending of Taiga’s dad triggers Minori and the two have a bit of a fight. For the first time, Taiga instead of Ryuji acts as the mediator. Primes: And it’s not just Minorin: Ryuji even gets into a brief spat with his own mother. Yes, that too. That one’s not nearly as fierce though. Why does Minori hate Taiga’s dad so much? Maybe he’s secretly her dad too?! Sorry to shock you with my earth-shattering hypothesis. 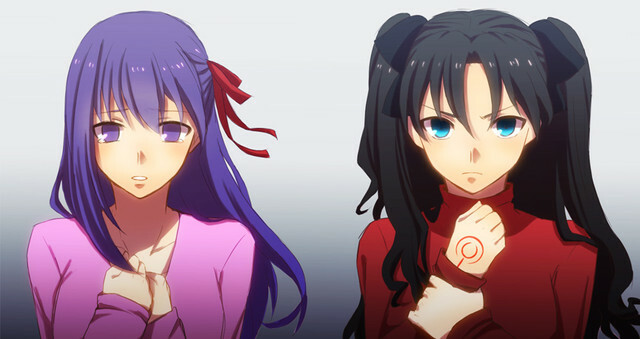 I don’t know why that’s somehow my first theory, but if Rin and Sakura from the Fate series can be biological sisters…who can’t? Hair/eye colour differences matter not in the world of anime! Ryuji though, his insistence on defending Taiga’s dad before really knowing anything about him or his history is quite something. He sees his dead father in him and is understandably jealous of Taiga, but still. Hormones…I must have had a ton of those in high school too, right? Primes: Everyone except Ryuji seems to think something’s off about Mr. Taiga. And given that they are ultimately shown to be right, that suggests to me that maybe there’s a blindspot in Ryuji’s character? Definitely. Ryuji has his prejudices. Whether this flaw shows up in other instances (aside from Taiga and her dad) is yet to be determined. Though you can definitely argue that he’s quite blind towards Minori’s aversion towards romance as well. The most interesting line in the episode, in my opinion, was spoken by Ami to Ryuji: “I’ll take the same road as you, but I’ll always be a little ahead of you.” My romcom-trained mind didn’t expect Ami to renounce Ryuji so easily and so early on. The significance of this line is still quite cryptic here. Ami already established that she and Ryuji are “equals,” which Ryuji brings up again this episode. The idea of them mirroring each other is strong here even without the mentioning of “equals,” especially when Ryuji sits in Ami’s usual spot between vending machines to sulk. To think about it, Ami is ahead of Ryuji with many things. Ami has a mental breakdown moment and vows to change in Episode 6, while Ryuji’s been talking about change since the first episode but never does anything significant enough. Ami stops clinging onto Ryuji before he realizes that he should stop doing the same with Minori. And now, Ami leaves the sulky vending machine gap with a determination that Ryuji lacks (it would be funny to see her back there again in future episodes though). I’m liking Ami more and more. Primes: There’s an example of something missing in the official dub, where Ami’s line comes off more as, “We’re not equals: We’re walking the same path, but I’m always two steps ahead of you.” In other words, this conversation in the dub makes it sound like she’s saying she’s further along in her character development than Ryuji, not that she’s giving up on him romantically (though that she is seems obvious to me by this point in any case). Whichever way you take that line, though, it fits with your take on Ami’s progress in character development and Ryuji’s comparative lack thereof. Her dad didn’t show up. A casual “performance finished” note taped across a dramatic poster of Taiga’s snickering face looming over a heroic Ami encapsulates the feeling of underwhelmed expectations and unexpressed bitterness. Hahaha… He definitely seems like a jerk, but he also hasn’t committed enough offense to garner hatred from me. I mean, my own dad never showed up to any of my choir concerts when I was in high school. It disappointed me that he asked “so why are you telling me this?” when I told him there was going to be a concert, but it was no big deal once I understood that he could care about me without caring about choir music. My feelings towards Taiga’s dad might change after his explanation (or lack of an explanation) for why he didn’t show up despite promising to do so. I might have to watch this again with you guys, it has been awhile since I seen it. Taiga definitely got excited over it, and I felt horrible for her. 😥 And Ami is great. She’s more unpredictable than I would have thought, and I’m liking her more and more as the series progresses. It would be so much fun of you rewatch it while we continue this collab, so do consider if you have the time! Since I have school now and Primes has a busy life too, we only really churn out 1-2 of these episodic commentaries a month anyways. Then consider having yourself a fan who will tag along then! I will definitely be able to join in on the discussion in the comments! I don’t know a lot about anime, but this looks so refreshing. From reviews online, there tends to be a lot of action, but this seems very drama-based and character focused which is really interesting, I was engrossed by your review. Ryuji is definitely biased, he’s only seeing it from his point of view and doesn’t seem to understand that others don’t always share his values… but, his values are personal and not universal values. Ami and Ryuji do not seem like equals. Unless they’re enjoying each other’s company/Ryuji catches up, it looks like they’re headed for a break-up.